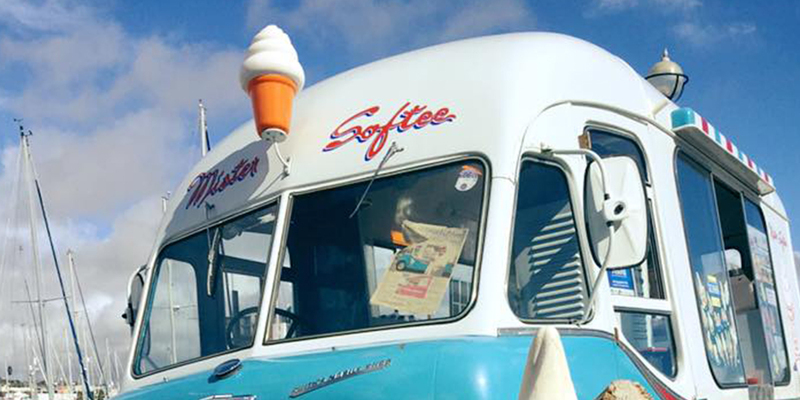 Fully restored original 1962 classic Mr Softee ice cream van. 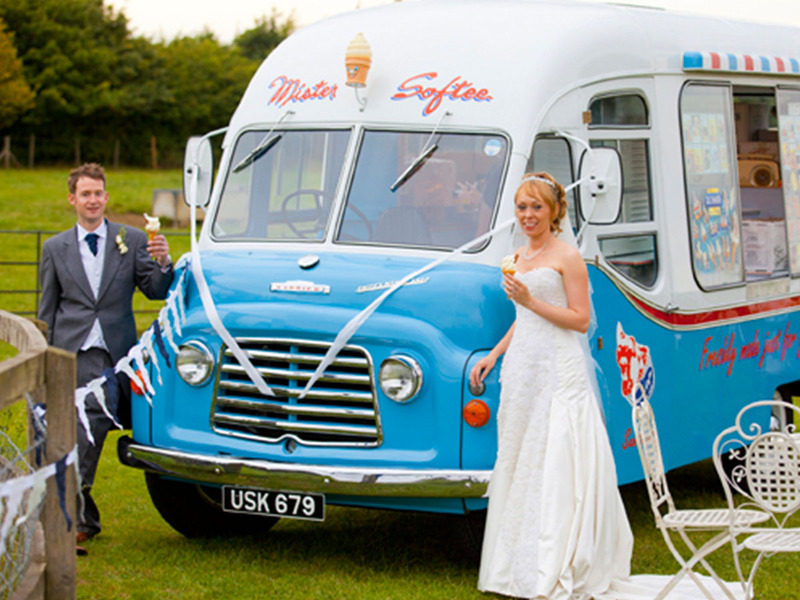 Fully restored original 1954 classic Morris J Type ice cream van. Available to hire for TV and film work. From a bygone era. 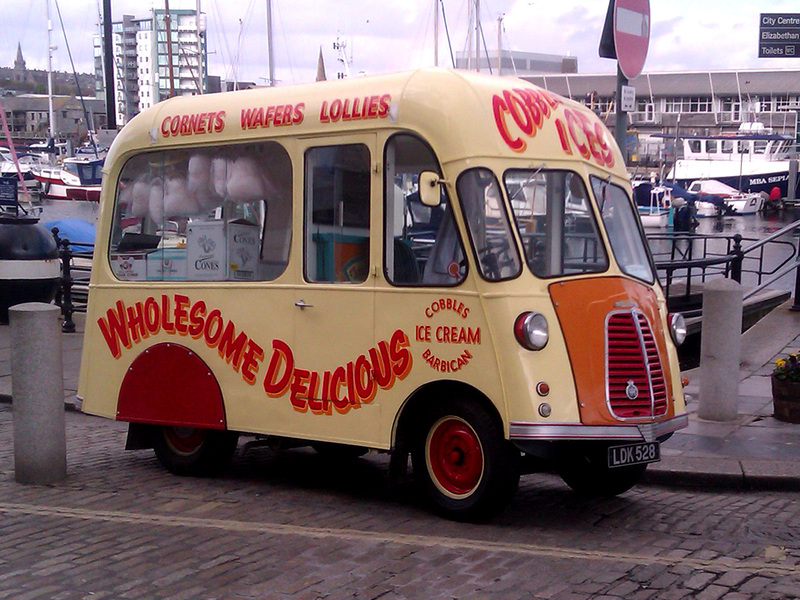 Available for special events, TV and film work is a 1962 Mr Softee Commer Karrier Classic ice cream van. Following a nut and bot restoration retaining it for future generations. 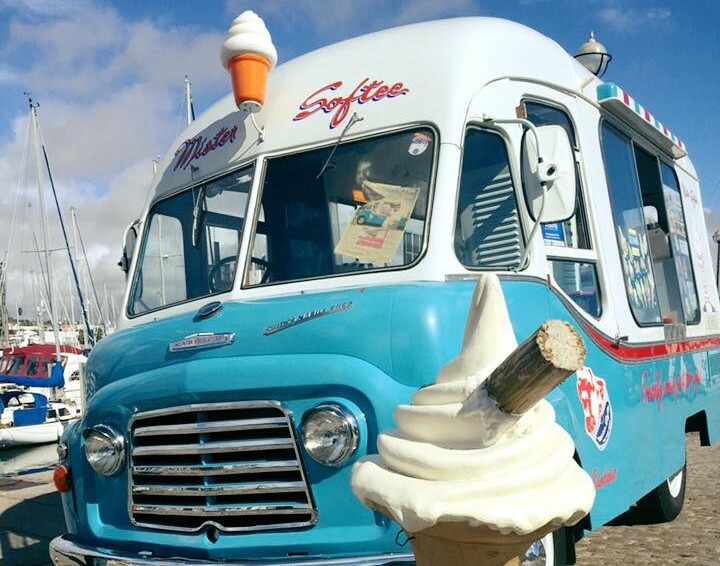 Finished in union blue and white the original Mr Softee livery. 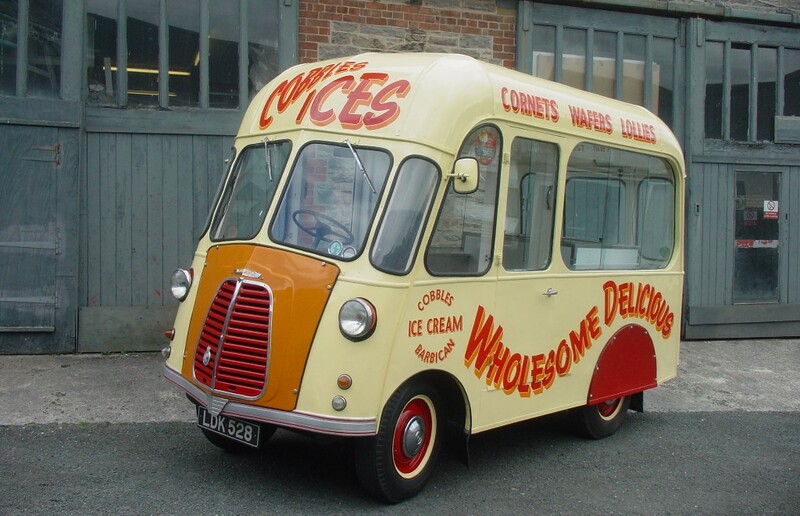 Also from a bygone era a fully restored 1954 Morris J Type ice cream van. This van is the only one of its kind left in the world, this irreplaceable van has inspired many artists but none captured its intended character quite like the world renowned artist Timmy Mallet whom has by putting it on canvas truly preserved it for its future. 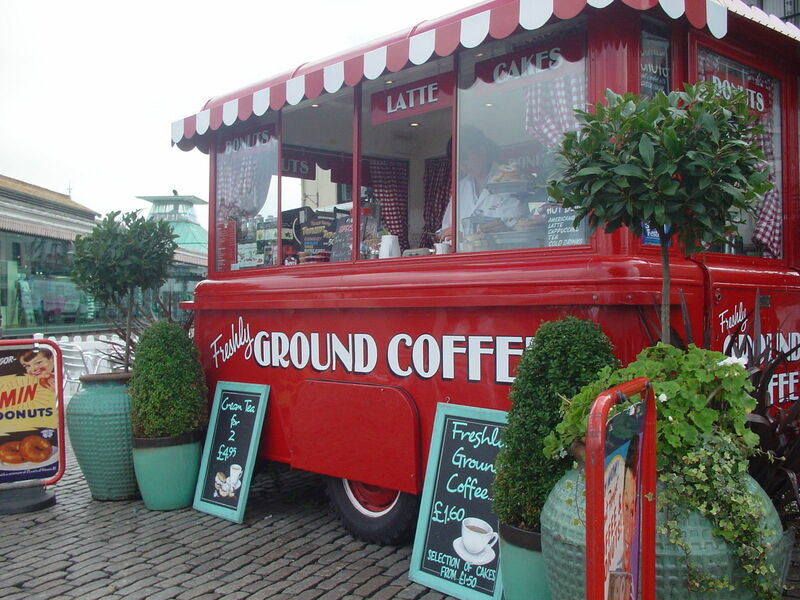 If you'd like to enquire to have one of our vans at your event send us an email or call us on 07745454747! 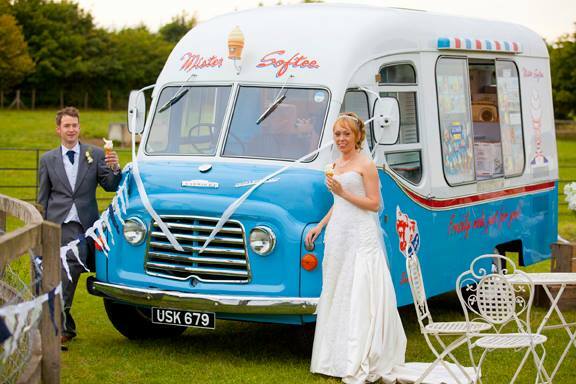 Wedding and corporate ice cream van hire includes a pre arranged quantity of ice cream products to be distributed on a “give away” basis for your guests or clients. 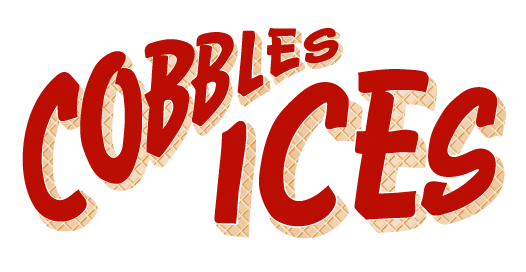 With almost any brand of ice cream, speciality cone or ice lollies sourced to tailor your event to your exact requirements. Choose from our list of different tunes which can be playing on our arrival and departure which include “Happy Birthday” and “here comes the bride”. We are fully insured registered LTD company CIEH certified in food hygiene and health and safety. We are also CRB/DBS certified and undertake semi/permanent site work. 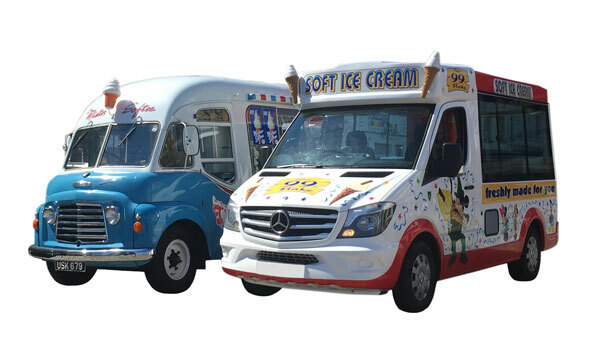 We specialise in supplying ice cream vans for promotional events, sampling events, company fun days, television, filming and photo shoots. 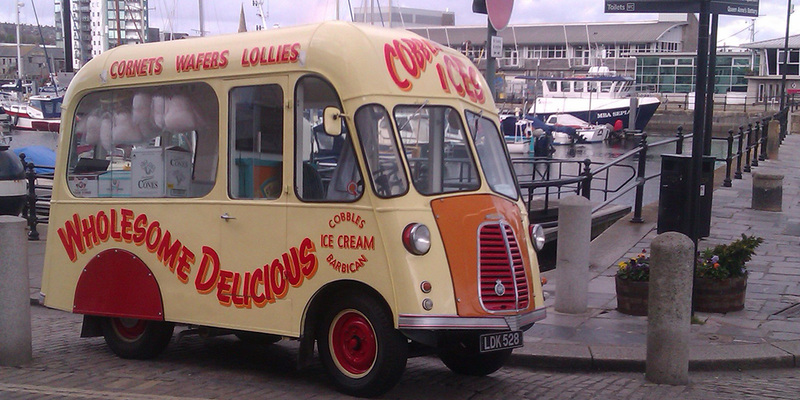 Ice cream vans are hired fully staffed with the added option of client branding from a simple name to a fully branded van. Our costs vary depending on location, date, time etc with discounts given when hiring for a number of consecutive days. 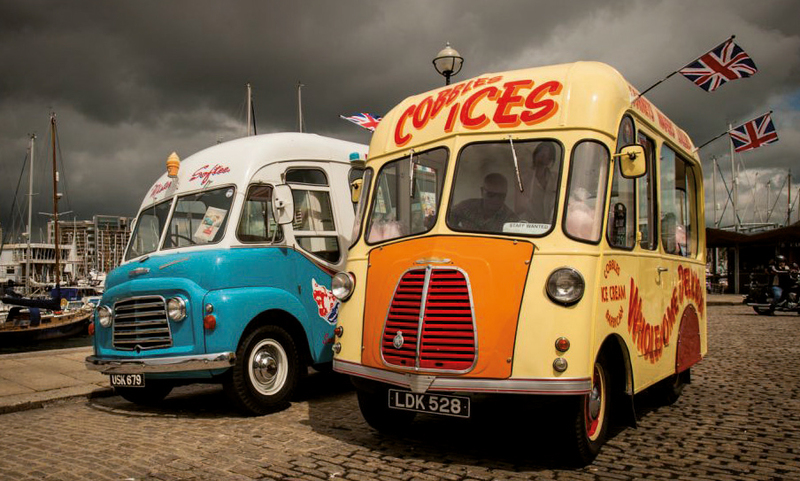 We have worked closely with many companies and have previously held prestigious contracts with Sutton Harbour Holdings LTD, Drake Circus Plymouth, Plymouth Arts Centre and Plymouth City Council. 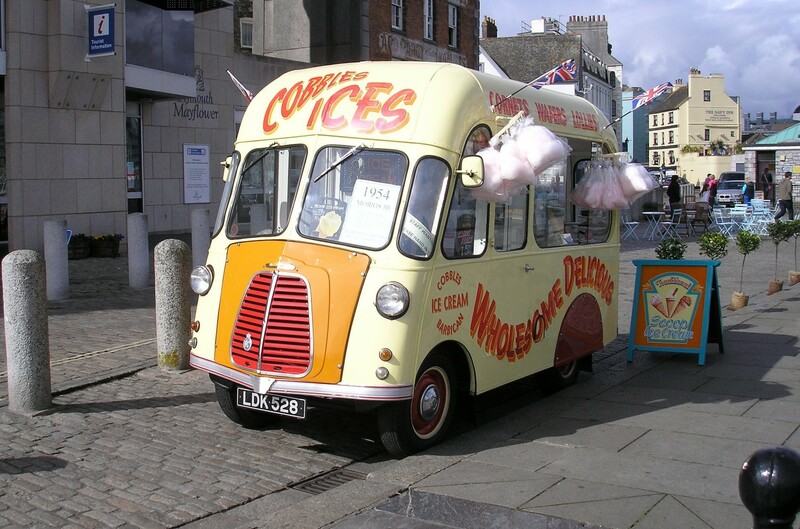 Ice cream vans are a great way to advertise your company or a new product launch so why not get in touch and see if we can help! Please fill out the form and we will get back in touch with you ASAP. Emails are replied to on a daily basis.